Are you having problems hitting the notes you used to be able to? Falling flat or sharp? Don’t have the breath you once had? Manual Physical Therapy can be effective in treating all of these components. We work with singers ranging from popular recording artists, Broadway performers, opera singers and the people trying to break into the industry. We’re not just working on the diaphragm either. A large portion of treatment is focused on treating the head, mouth and throat to help our patient achieve their vocal goals. The voice box, or larynx, has multiple layers of soft tissue surrounding it which leaves it vulnerable to adhesions that will change the alignment of the trachea. It is important to first free up the larynx to move freely in all directions. We achieve this through soft tissue mobilization of the surrounding structures and mobilizations of the bones. The trachea can be restricted by cervical vertebras out of alignment. A lot of stage performers have anteriorly sheared vertebras, especially in the mid-cervical region, because they are often acting while signing and throwing their heads back to show emotion. This can imbed the movement of the trachea and larynx from the back and decrease airflow. The hyoid bone can also be limiting motion and needs to be treated to return efficient function. After we treat the surrounding tissues and structures, we can assess the mobility and strength of the vocal cords themselves. Often, when a singer notices a change in the pitch it can be related back to a weak or restricted vocal cord. Through manual therapy techniques we can assess which cord is affected and treat it. We also teach the singer to work on it themselves to strengthen the vocal cords. If a singer is having problems reaching the higher notes we often turn to the mouth and nose for treatment. Intranasal mobilizations are effective in correcting deviated septum’s. We also treat the cheekbones, or zygomatic arches, to decompress them off the nasal passages allowing for greater airflow. Spreading of the hard palate in the mouth also improves the airway through the nasal cavity. Manual therapy is also effective in treating the hard palate. With one Broadway performer, we found the sphenoid bone, which can be felt through the soft palate in the back of the mouth, was deviated and tipped to one side which limited the amplitude of her higher range. Through intraoral mobilizations, we were able to reposition the sphenoid and get instant results. Because of the positions she had to get into for the play she was in, the sphenoid would start to move again during the show. We were able to teach her self-mobilization techniques to correct the changes occurring. 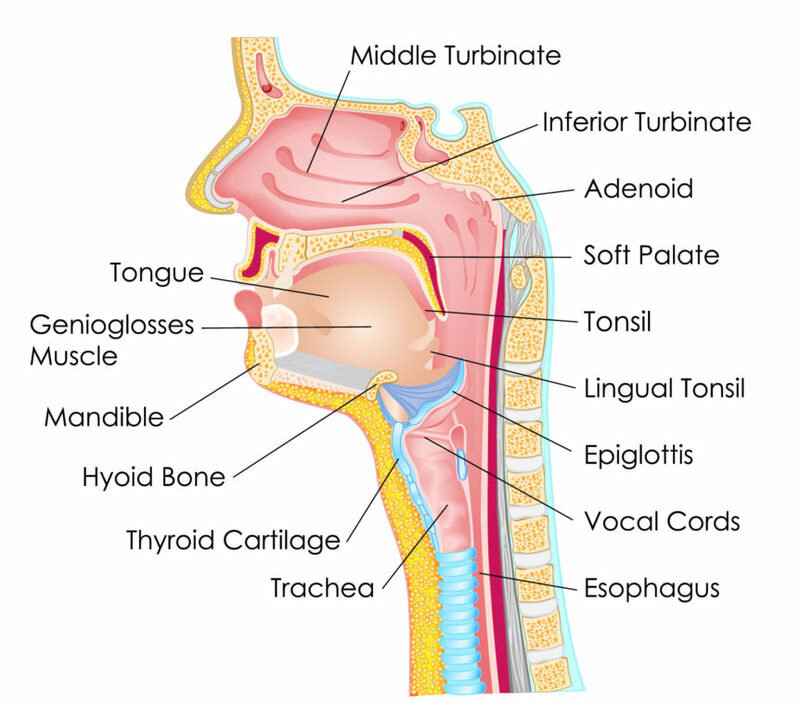 While we do address restrictions of the diaphragm and ribcage with our signers, there are much more specific techniques to return the quality of voice to our patients by treating the neck and head. We see instant results in the treatment rooms when we have patients test their range or notes they have having a hard time achieving.